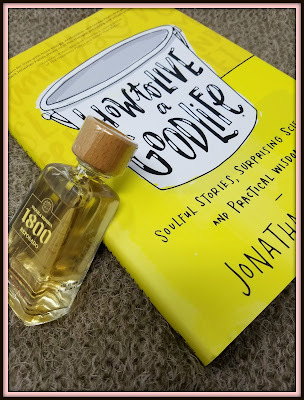 If this isn't the first time you've been on my blog you know I have a "thing" for nonfiction self-help books, especially of the happiness/habits/better-yourself variety. When my kids were younger they were of the parenting/house-keeping/organization variety. What can I say, I'm a sucker for self-improvement. Or should I say, I'm a sucker for the idea of self-improvement, most of the time. You see, I've always struggled a bit with my follow through. But, to be fair to myself, a lot of books in this genre don't help me out a ton. They are filled with grandiose ideas, statistics and catch-phrases, and short on actual applicable tips. I want the big idea, but then I want someone to break down exactly how I can put that big idea into action. I need concrete steps and examples to follow. Gretchen Rubin is great at doing that, and now I can tell you that Jonathan Fields is also. The book starts out with Fields saying how he likes science and data, loves to learn new things and is always trying to get to the bottom of how things tick. He's come up with a theory that you can think of your life as 3 buckets...one called Vitality, a second Connection and the third Contribution. And in a nutshell, the more full your buckets are, the better your life will be. The book is broken up into 3 sections covering each of the "buckets" with concrete theories and tips on practices to fill that particular bucket. And of course the beginning of the book talks about assessing your buckets to figure out what areas may need work. While the book is meant to be slowly worked through, for the purpose of reviewing it I read it cover to cover, and fairly quickly. But I fully intend on going back and doing many of the exercises that are listed in the bucket chapters, and going online to see the free content available for readers. With a cursory glance I could tell you with about 95% certainty that the area I most need to work on is my Vitality bucket, so I paid extra special attention to the exercises in that section. The very first one talking about daily routine practically screamed at me as I was reading it. The Vitality section has the usual suspects...regular sleep, exercise, focusing on gratitude and stepping out of your comfort zone...but Fields seems to come at it from a fresh perspective. Just the fact that he gives you clear cut tasks to try, and prompts to journal afterwards spoke to me and I think will be helpful. I found his anecdotal stories interesting, although I doubt I'll find myself at a retreat in Peru chanting with yogis from around the world anytime soon. I believe the author would call himself a spiritual skeptic, but I don't think there's anything in this book that would preclude a Christian or someone of any other specific religion from finding a nugget of wisdom that speaks to them. I think it is written with a very broad spiritual pen, and I've come to find that there's not a big difference between what one person calls meditation and another calls prayer. 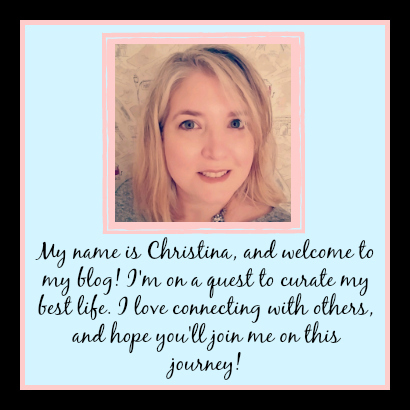 I wasn't really sure, after reading the intro, that there would be a lot in the Contribution section that I would want to apply to my life, but I was pleasantly surprised. I would've told you that my bucket there was pretty darn full normally, but after he started mentioning using your strengths wisely and really coming up with what matters in your life and then making sure that what you do is centered around that, I found I actually have a lot more work to do. The same could be said for his thoughts on the Connection bucket. He helped me see that there are still plenty of places for improvement. So basically I'm giving this book a 5 star review. I know this blog post hasn't really been a traditional "review" but I hope that in telling you how someone like me, who reads books like this quite often, found a lot of truly workable and concrete tips...it might make you decide to pick it up and give it a look. I'm excited to start listening to the author's podcasts and getting to know him a bit better...and hoping that I still like him as much afterwards! LOL This book fits into some of the goals I have for 2017, so this was the PERFECT time for me to read it. 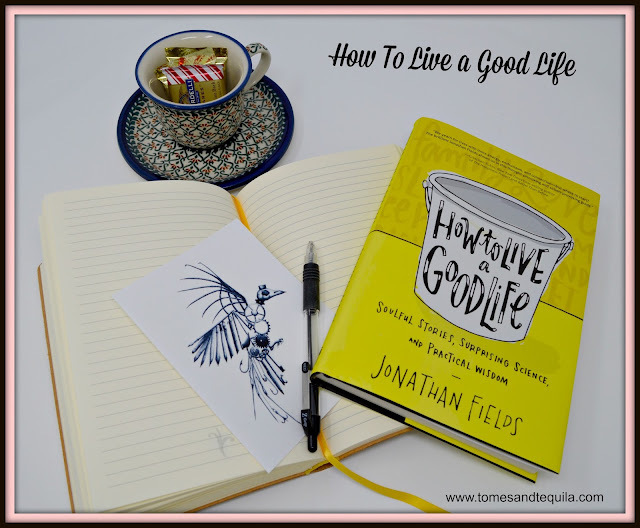 If you haven't picked this one up yet and you're also making goals for 2017 that include being more organized, goal-oriented, happiness "good life" focused...you wouldn't go wrong with How to Live a Good Life (and of course, Gretchen Rubin's books). Okay, clearly I am overly tired and the cold I'm coming down with has addled my brain as I've got diarrhea of the fingers. I'd love to hear if anyone else has a resolution similar to mine, and if they have any good books they would recommend me reading. Please leave a comment for me either here or over on my Facebook page!